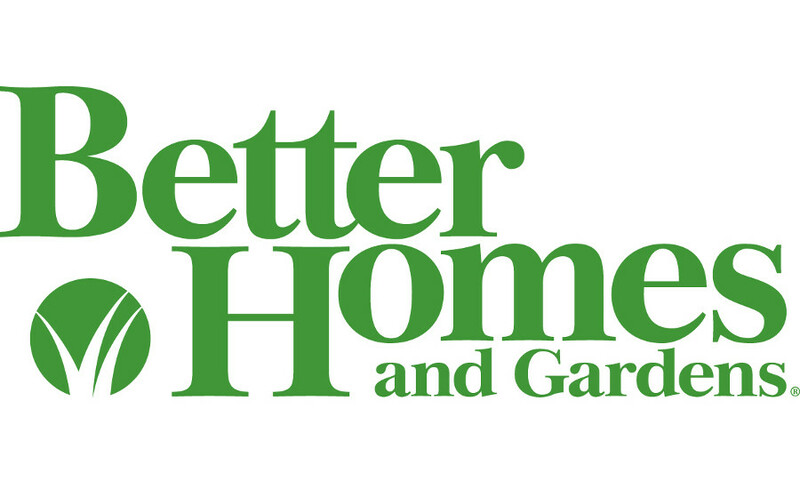 Risk-Free is proud to offer professional seamless gutter installations to the homes in Greater Indianapolis, Indiana. Seamless gutters offer homeowners superior protection from water damage. In fact, seamless gutters look better, last longer, and are stronger than traditional gutters. We’re a locally owned and operated company since 2005. We value honesty and integrity, and stand behind our work. We specialize in new seamless gutter installation and exterior residential painting projects. We pride ourselves on the quality of our work as well as our commitment to outstanding results. We look forward to building long-term relationships with our clients and guarantee your satisfaction! Without seams, 100% of the rain water gets carried away from your home, without pesky leaks allowing water to slowly accumulate around your roof, doors and windows, siding or basement foundation. No cracking, splitting, or breaking. Risk-Free’s seamless gutters are designed to adapt to the different seasons in Indiana, meaning that they contract and expand during deep winter freezes as well as hot summer days. This agility keeps them from cracking during drastic temperature changes. 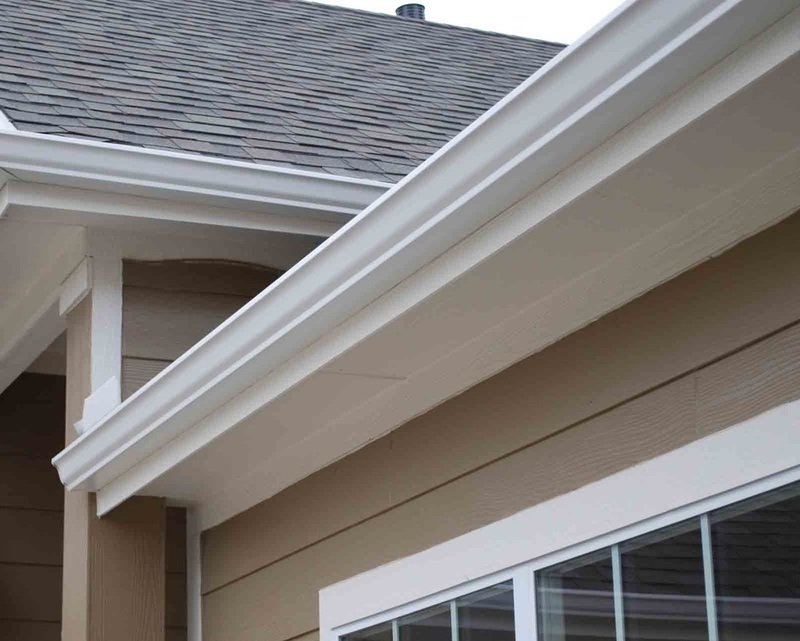 All of our gutters are custom measured and cut to fit the corners, eaves and edges of your home perfectly. Colors, colors and more colors. Gone are the days of 2 gutter color choices. We offer an unprecedented 20 color options, allowing you to add gutters that will enhance the look of your home, not detract from it. 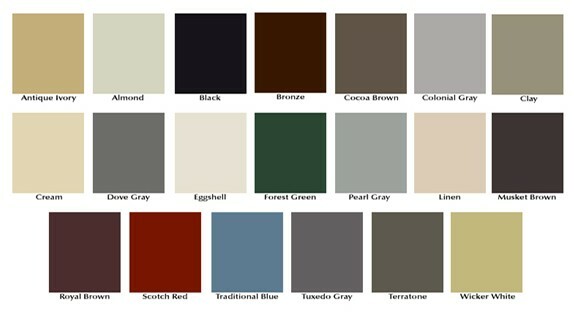 See the color guide below to find the color that will compliment your home! Shop with Risk-Free with confidence. We aren’t happy until you are happy, and we always guarantee 100% satisfaction on every gutter job. Risk-Free employs the area’s premier gutter installation experts. Our gutter crews are specially trained to measure, cut and install seamless gutters to fit any and all homes and buildings – no matter how many sides or complex angles. Contact Risk-Free for your FREE seamless gutter estimate today! At Risk Free, our estimates are completely obligation and fee free. Find out how seamless gutters can enhance your home today.